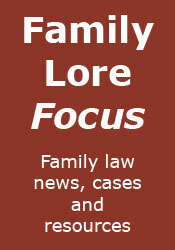 Plenty of family law-related news and comment in the papers this morning. First up, we have Libby Purves (left) in The Times discussing the 'news' that more couples are entering into pre-nuptial agreements. I don't necessarily take exception to her basic point which seems to be that drawing up a pre-nup may just encourage couples to face up to some of the practical realities of marriage. However, there are a few things she says with which I do take exception. Firstly, she suggests that the courts have been ignoring pre-nups. Now, by 'ignore' she may have meant 'not followed', but the way it is written implies 'disregard'. The courts do not (or at least should not) disregard pre-nups - it has been the case for some time that pre-nups should be one of the circumstances that the courts should take into account when deciding a financial/property settlement. Secondly, she goes on to say that "the British divorce courts, sweet romantics, have enabled too much greed and injustice at every financial level". Really? I've not seen this, in some 25 years of practising - the courts are trying to create a fair settlement for both parties, obviously with particular regard to the welfare of any children. In any event, the courts are only applying the law as given to them by Parliament 40 years ago, so don't blame the messenger. Finally, Purves indicates that since 1969 we have had "no fault" divorce. She puts the words in inverted commas, but nevertheless this is just plain wrong and misleading. As I'm sure she well knows, we do not have a no-fault system, at least until the parties have been separated for two years. Moving on, there are two other pieces in The Times, both relating to the issue of the opening up of the family courts. One article is by Sarah Harman, who argues that expert opinions in family courts should be open to objective scrutiny. I agree, subject to privacy safeguards, where required, although I'm not sure who will be doing the scrutinising - hopefully, not the media. In her concluding paragraph Harman states that: "There is still huge opposition throughout the legal and social work professions to more transparency in the family courts, most of which is due to self-interest." I find the self-interest allegation to be a cheap media swipe at all those caring and hard-working people who work in the family justice system, the vast majority of whom object to more transparency for genuine reasons relating to the welfare of the children, rather than out of self interest. The other piece in The Times reports the concerns that the Family Justice Council have over the proposed opening up of the family courts, in particular the potential for “naming and shaming” of social workers. I agree that this is a very serious matter (social workers are under more than enough pressure as it is), and I share the concerns that the proposals may be being pushed through too quickly, without proper consideration for their consequences. I note, incidentally, that the ubiquitous Marilyn Stowe appears in this report too, making the point that the reporting of judgments in family proceedings should be sufficient to lift the secrecy of family courts. What an excellent article. It's inevitable that if society, and the law, does not protect people, or especially if it attacks people then they will make arrangements to protect themselves like a pre-nup. I also like that bit in Braveheart (despite being English) where Wallace tells the Princess of Wales that he married his woman in private in order to not share her with an English Lord. Think I could go with that, need a vicar who will do the ceremony without the certificate, is that possible John please? Sincere question. If you do a pre nup and marry in Scotland does that make the pre nup valid if you live in England? 'President Jacob Zuma has three wives'!!! I think should be capped at 2. At least then they have someone to gossip and moan with while the man is doing more important stuff (like deciding who to vote for or something). I did meet a man in Tunisia with many wives once, he left them to it, was like a girl school, he seemed quite happy. There were a lot of single males about though. If the divorce is in England, then the English court is not bound by the pre-nup, irrespective of where it was made. However, they may be more likely to go along with its terms if it were entered into in a jurisdiction which recognised pre-nups. Interesting, thanks. I guess I'll have to ask a vicar about the certificateless mariage possibility?? ?